Is it almost time for your Fiat 500 first service? If you’ve recently bought a new Fiat 500, then you’ll want the best garage to carry out your Fiat 500 service. At S & H Motors, we are the leading specialists in Italian cars, meaning we can provide the best servicing and diagnostic checks that are much more cost-effective than using your dealership. What does my Fiat 500 first service include? 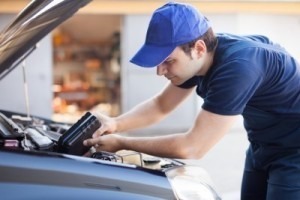 Most drivers assume that an MOT is sufficient in making sure their vehicle is up to scratch. However, while an MOT checks that your car is safe to drive, it does not improve the performance of your car. When you have your Fiat 500 first service with us, you will get a comprehensive servicing process from our highly-experienced engineers that endeavours to enhance the safety and performance of your vehicle. Your Fiat 500 first service will also include fuel, oil and air filter checks, plus oil replacement if necessary. We have the skills and expertise to find any underlying faults and provide the best solutions to ensure your car is running perfectly. We carry out all services to manufacturers recommendations but can do so at a fraction of the cost of other garages in the area. Our team never skimp or cut corners, and you can be confident you will receive a comprehensive Fiat 500 first service that can flag any issues the MOT may not have noticed. Unlike any other garages, at S & H Motors we have a specialist diagnostics system specifically designed for Fiats and Alfa Romeos. When you have your Fiat 500 first service, this in-house examiner system will be able to give us a report on the performance of your vehicle. Modern cars can be difficult to examine these days, which is why this expert technology will allow for the best Fiat 500 first service you could ask for. At S & H Motors, each and every service is tailored to your vehicle. As the Italian car specialists, you can be confident that our professional engineers and our expert technology will ensure the best possible results from your service. Your car is your pride and joy, which is why the Fiat 500 first service is extremely important. We want you to get the most out of your car which is why we provide all of our customers with honest and impartial advice on how to maximise the longevity of your vehicle, and any repairs we do will come with a 12-month guarantee. To see what our previous customers have to say about their Fiat 500 first service, take a look at our testimonials. For the most comprehensive Fiat 500 first service, get in touch with S & H Motors for cost-effective solutions. Call us now on 01202 680660 or email us at shmotors@btconnect.com.